Here’s the chance to leave your mark on Standale! 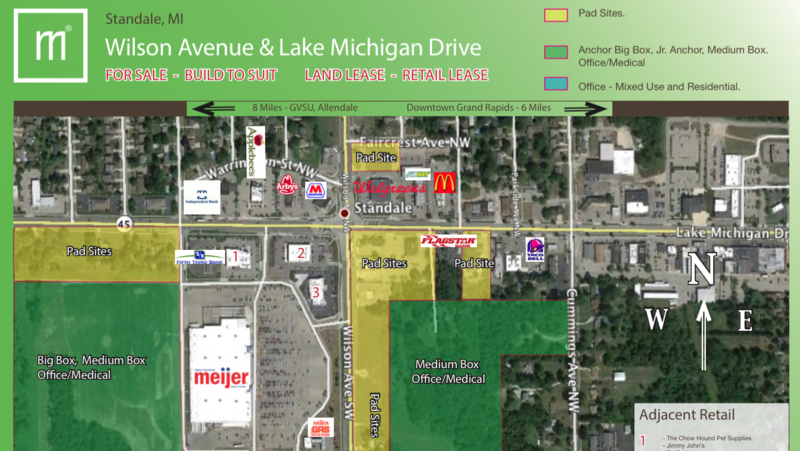 Multiple locations available at the corner of Lake Michigan Drive and Wilson Avenue. There’s opportunities for Big/Medium Box stores as well as Office or Medical. Build to suit.